It’s been three years since the Scrambler first laid tread marks on our hallowed soil. It’s also been one of the few things to make this world a slightly better place. 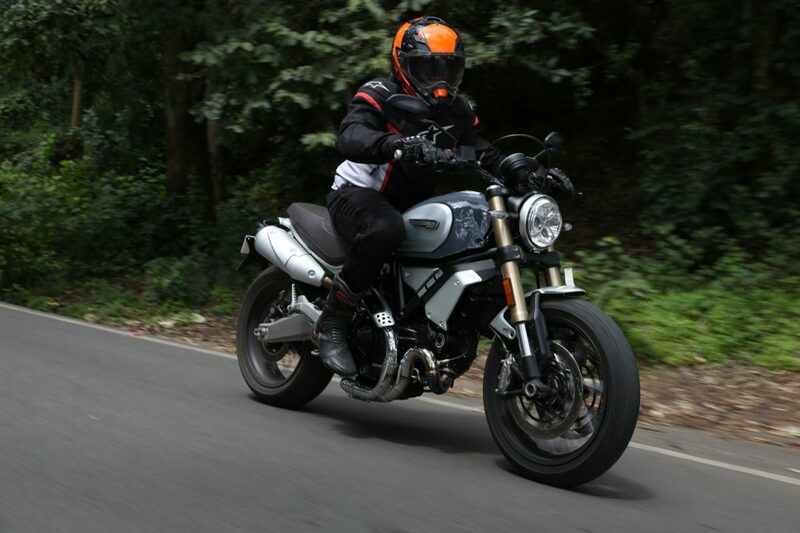 I say this because this Scrambler family is a concoction of Ducati lineage and heritage that’s perfectly capable of making an absolute mockery of all things civil, while still making you look as cool as a hipster avocado on wheels. And in a world where everyone takes themselves a little too seriously, it’s good to have a machine that’s designed to cause nothing but mayhem. 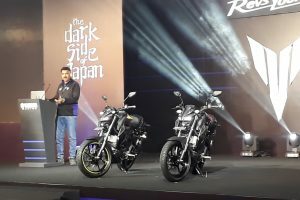 When the diminutive 803cc Scrambler first launched in India, it didn’t receive the warmest welcome; mostly because Indians have the inherent tendency to wildly overcompensate for a lack of, well, you know what. That wasn’t the case globally, though. The Scrambler makes up for a third of Ducati’s worldwide sales, so it’s obviously got the right elements in all the right places. It isn’t just for the horde of factory produced beard-clad, crew-cut hipsters that love sipping on a dainty little glass of wine when nobody’s looking. The beard is just a distraction, trust me. But Ducati’s addressed these feelings of inadequacy and created an even wilder, bigger version of the Scrambler, the 1100. See, everyone’s happy now. The 1100 isn’t just a case of inflating and upsizing parts from the Scrambler 800, no. Ducati has meticulously crafted the 1100 into a more sophisticated, visually and physically striking machine than before. It doesn’t adhere to Ducati’s typical edgy design brief. In fact it doesn’t even come in red. But it still is a Ducati through and through. After an impromptu round of lucky draw from a coffee cup, it was decided that I would be riding the Special variant, the middle child. And I don’t mean ‘Special’ from a mental health standpoint. No, I mean the variant that’s supposed to look the most retro of this lot. What a pity I didn’t have the aforementioned beard to complete the whole look. 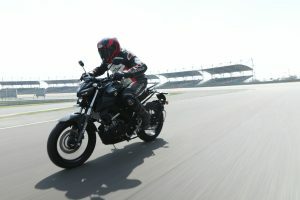 Aside from the Special, though, the Scrambler 1100 also comes in the more expensive Sport version and the base variant. Now the 1100 Special gets some unique bits that set the apart from the others. Ducati has decided to be as authentic as possible with this one and kept plastic bits to an absolute minimum. Firstly, it’s got an aluminium front mud-guard unlike the plastic one on the others and spoked wheels instead of alloys. 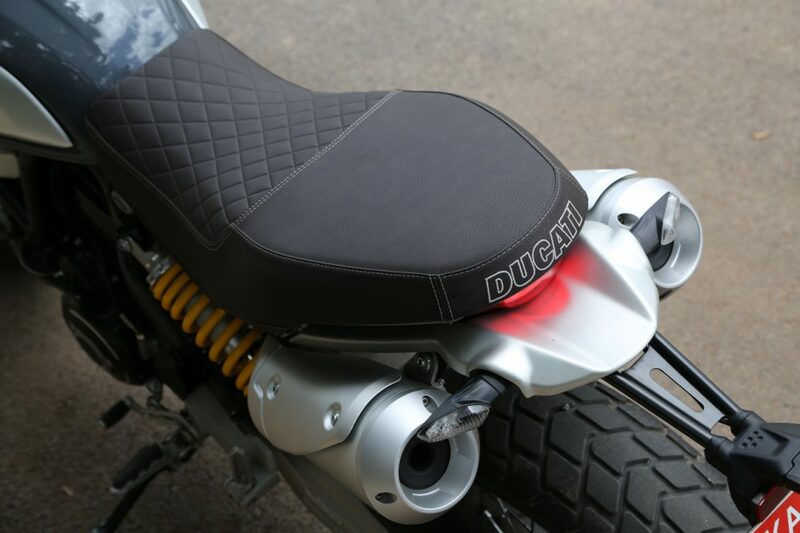 It’s also got a brown seat that should conceal any overcooked attempts from riders with an overzealous throttle hand. And there’s chromed bend pipes for that bling factor, although I expect the pipes won’t stay chrome for very long if you’ve got a touring agenda. Overall, the 1100 has a nice, ostentatious air about it and a very Scrambler like stance. 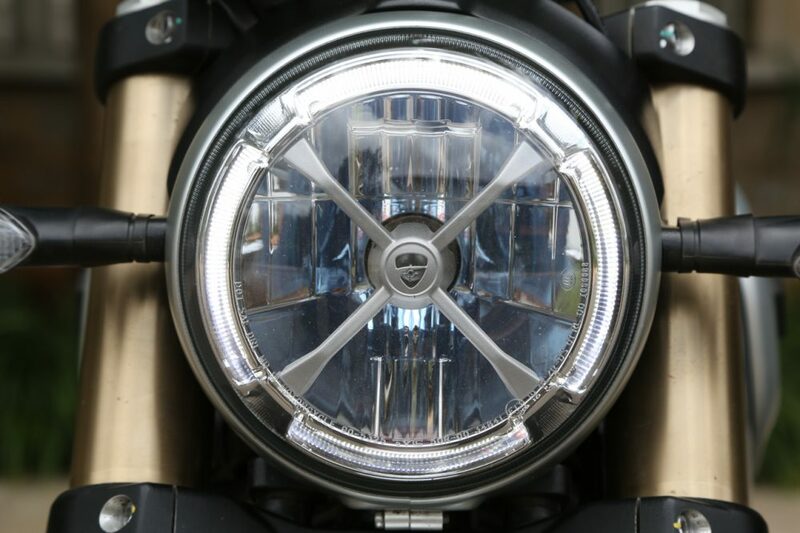 The headlight’s got a nice ‘X’ shaped motif within it and a circular four part DRL that’s there to remind you of the way the original scrambler riders from the 60s would tape up their headlights for dirt racing. The handlebar seems to be very similar to the one on the Full Throttle — it may just be the same one. 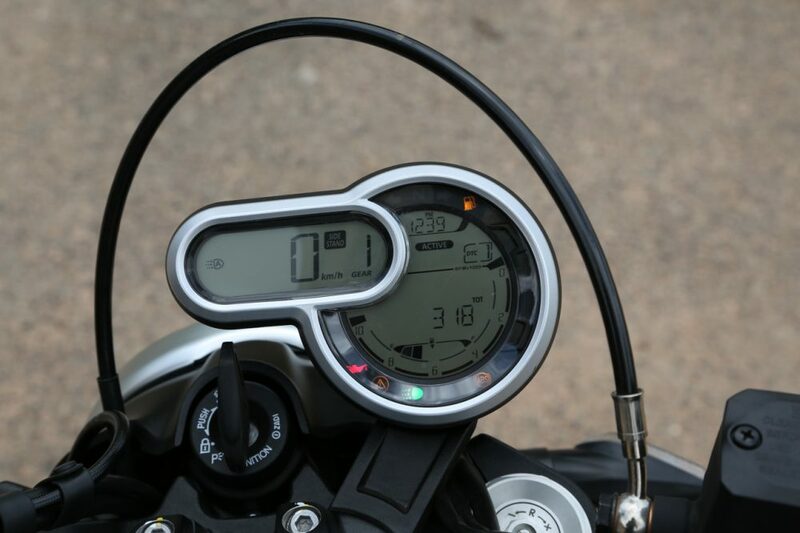 And the circular speedometer gets a welcome upgrade from the older Scrambler. It’s now got an additional pod for more information and it’s quite evident that this layout stays true to its original design but gets a lot cooler. Of course the tastiest bit of this 1100 I’d have to say would be its derriere. The twin exhausts sit on either side of the tail-end and sound simply glorious. They emanate all the delicious growls, pops and crackles we’ve come to associate with Ducati’s twin-cylinder identity. One of the few things that isn’t all-new on the 1100 is the motor. It gets a tweaked out and updated version of the 1079cc Desmodromic EVO engine that once breathed fire on the Monster and Hypermotard 1100. This motor is absolutely swathed in Ducati legacy and lunacy. It manages to pull off that very organic and encouraging feel that we’ve come to expect from a Ducati engine. It’s not a massive jump in power from the 803cc Scrambler and the 1100 puts out a reasonable 84 bhp. But it’s the way the 9 kgm of torque is delivered in buttery smooth waves that makes this motor so interesting. There’s a constant and purposeful lug until power tapers off at about 8,000rpm. There’s no replacement for that raw, visceral feeling from a large displacement L-twin that Ducati has managed to perfect over the decades. What sets this 1100 apart from the regular Scrambler is electronics. While it retains an air-cooled engine layout, it takes a more sophisticated approach to fettering that raw power into something a little more manageable. It’s got three rider modes: Active, Journey and City. Power delivery is tailored to the situation in Active and Journey modes, while City restricts power to 74 bhp. 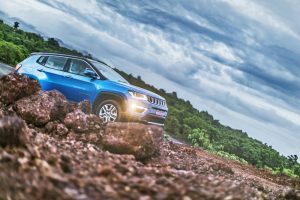 There’s also four-level traction control (DTC) and a feature usually seen on the more serious machines, Bosch cornering ABS. 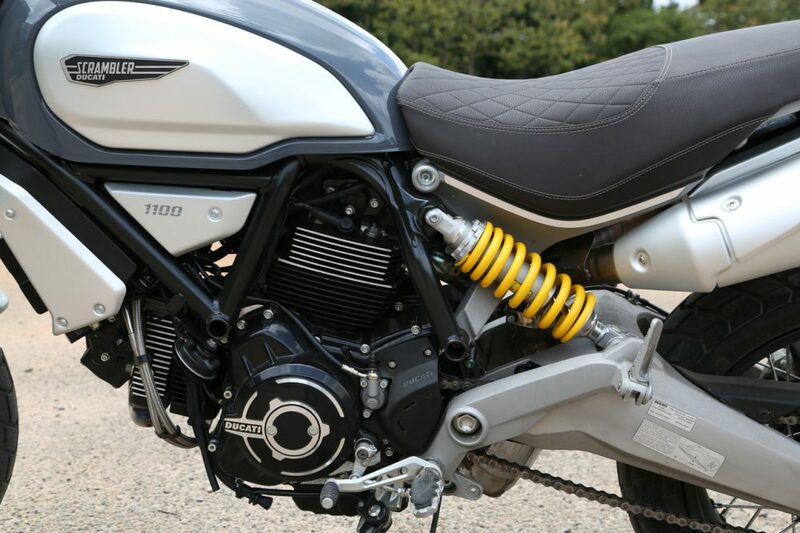 Overall, the Ducati Scrambler 1100 provides you with a very refined and manageable experience, without missing out on the fabled hooliganism the Scrambler is known for. 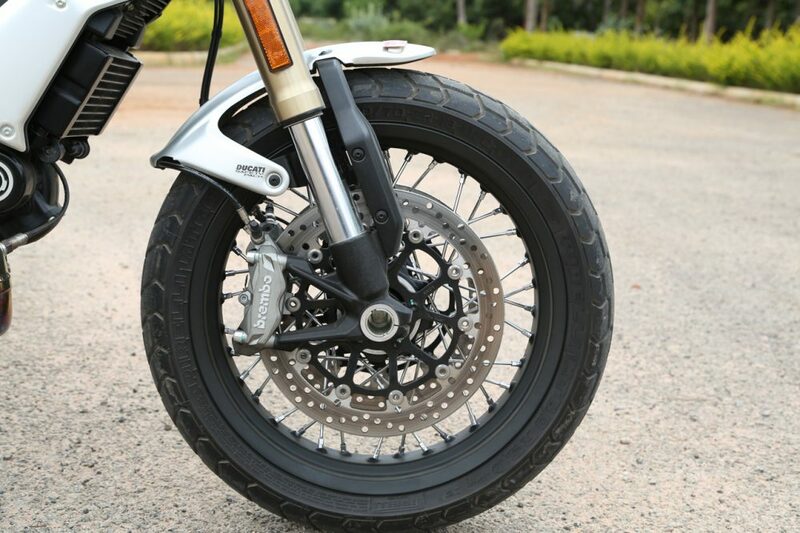 The brakes and suspension have also been beefed up to enhance the riding experience. The 1100 gets a set of twin Brembo M4.32 calipers that give you immense stopping power. And suspension, well there’s 45mm adjustable forks up front and an adjustable monoshock at the rear. While the setup is slightly on the stiffer side, the 1100 handles bad sections of road reasonably well. But show it a set of corners and it really comes to life. 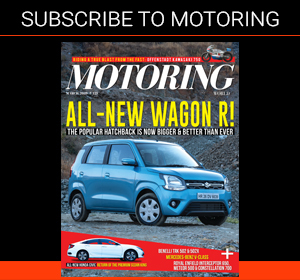 The 206 kg heft of the motorcycle is camouflaged through very nimble handling and a solid, planted feel that makes the weight work in its favour. The Sport version gets 48mm Ohlins suspension that takes the whole handling game a step further. Of course the tyre sizes have also gone up to manage this extra mass. But Ducati have decided to stick with the dual-purpose Pirelli MT-60 tyres that seem to be around more for styling than functionality. Because let’s face it, nobody’s going to be taking the 1100 off-road. It just doesn’t have the right dynamics for that sort of thing. And it also limits the cornering performance of the 1100 ever so slightly simply because it isn’t a fully road-focussed tyre. The Scrambler 1100 is a sacrosanct Ducati all the way through. It may look like a scrambler, but it is designed to unleash utter mayhem on the world. 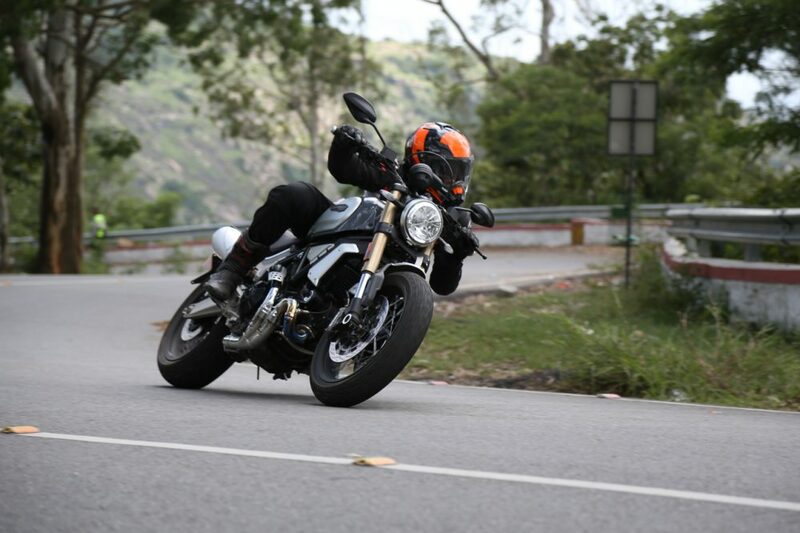 It retains the beauty of the smaller Scrambler in terms of simply how easy and engaging it is to ride. With the larger engine, though, it’s just a slightly more serious machine now. But that’s what the electronics package is there for. What will get you questioning logic a bit is the price. This Scrambler 1100 Special variant costs Rs 11.12 lakh (ex-showroom), which is quite a substantial amount for what you’re getting. Ducati says this bike is targeted at older riders that have decided to slow things down but still want that whole manic Ducati experience if the need arises. While this 1100 is a niche within a niche, it offers proper premium equipment and more refinement. For those that have their minds set on Scrambler styling and are succinctly adept at throwing caution to the wind, it’s time to squirt a bit of that growth formula on your beards. Just please keep those dainty wines to a minimum.